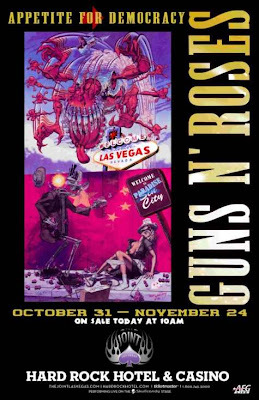 On Monday, October 29, Hard Rock Hotel & Casino Las Vegas and Clark County will declare Paradise Road to be known as Paradise City Road in honor of rock legends Guns N’ Roses' first-ever residency, “Appetite For Democracy,” at The Joint. 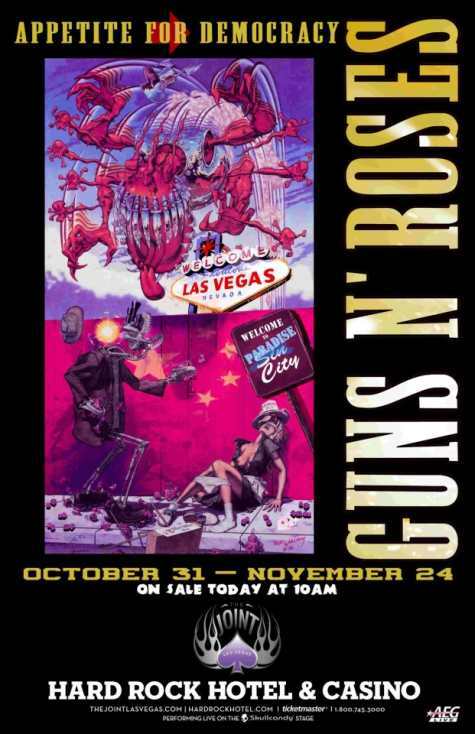 The street will pay homage to the band’s' record-breaking hit "Paradise City" through their extended run Wednesday, Oct. 31 - Saturday, Nov. 24. At 2:30 p.m. on Monday, members of Guns N’ Roses will celebrate with a renaming event in Hard Rock Hotel's parking lot in front of Paradise Road, next to the main valet entrance. Clark County Commissioner Mary Beth Scow will declare the street be temporarily known as Paradise City Road and present band members with an official street sign. During the event, the group will address the crowd and pose for photos.